The New Castle County Department of Land Use, Delaware Department of Transportation (DelDOT) and WILMAPCO are conducting a planning study about the future of transportation and land use development in the Route 141 corridor. 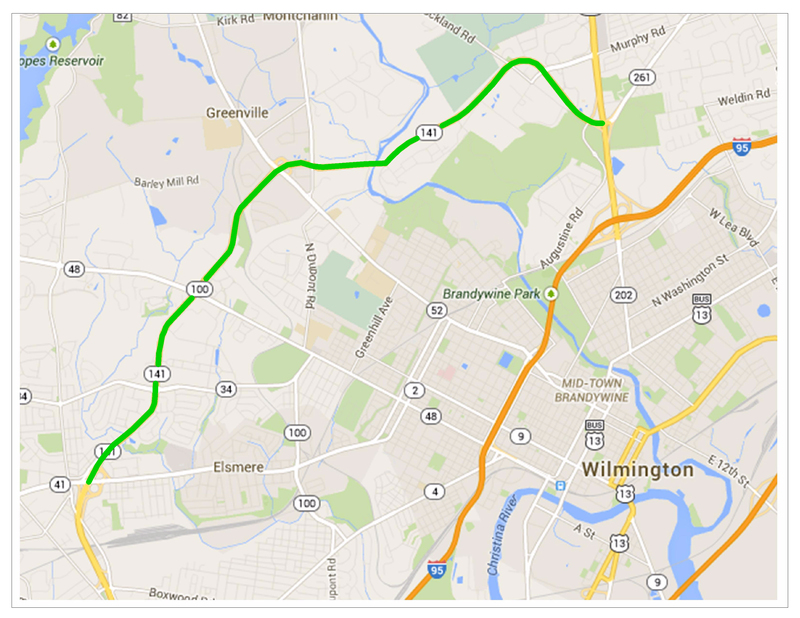 The Route 141 corridor is a major arterial which links City of New Castle to US 202/I-95 near Blue Ball. In many ways the road functions as a western beltway of Wilmington serving local and regional trips with several other arterials intersecting, including: Kirkwood Highway (SR 2), Concord Pike (US 202) and Lancaster Pike (SR 48). Land uses vary along the corridor with a mix of residential, neighborhood shopping centers, large corporate offices and institutions, including a regional hospital. While much of the land adjacent to the roadway is developed, there is a significant amount of development nearby that is recorded but not yet built. The outcome of this process will be a consensus-based plan which will guides transportation and land use policy for the corridor over the next twenty years. Consensus building and establishment of stakeholder support is a key element in this process. For more information, please email wilmapco@wilmapco.org.